Spring is here, sort of, but I know there is sunshine over the horizon. Our district is up to 73% of our Lions Clubs now reporting to MyLCI regarding their service activities. Now if the rest of the clubs can give a little extra effort, we could hit 100 %. If you need some help or encouragement, please get hold of our district secretary or me and we would be happy to give you a hand to get started. Believe me, if I can do it, anyone can do it. This month’s Service Theme is Environmental Awareness Month. Find a location where your club can do some tree planting in the community. Contact local schools and community parks and offer to plant some trees or offer to do a cleanup for them. Remember our camps that we help with. They could probably use some clean up help before the kids come in. We gathered 110 purses for feminine hygiene kits at the district convention. This does not count the kits being assembled and used at the local club level. Be sure to send me your total count for our records. The Astoria Lions won the Bedazzled Purse Contest and will take it to the Multiple 36 Convention in Seaside to be entered into the final competition for the Coveted Guiding Lamp Award. I contacted Bill Russell, Director of the Union Gospel Mission (UGM) in Portland, and he was delighted to receive the hygiene kits. They help with the homeless and hurting women in Portland and Beaverton. They have a team of women who go out and check on such women on the streets, in camps and shelters. The UGM was founded in 1927, when 40 area churches gathered together seeking to help the homeless and hurting on the streets of Portland. Lionesses and Lioness clubs will need to convert to Lions membership or Lions clubs by 2021 to keep their tenure, service and/or leadership history. Check out: https://weserve.org/newvoices/ for current update on New Voices. If your cabinet roster is full, consider putting one or two young Lions or Leos on as honorary cabinet members. If you have some openings put one or two young Lions on your cabinet. It’s very important that we hear from these younger Lions and listen to them. These will be the future Lions clubs’ leaders of tomorrow. Now is the time to order your Peace Poster Kits and contact your schools and youth groups regarding participation in this great project. This next Lion year’s Theme is; Journey of Peace. April 3: Past District Governors meeting in Beaverton – Contact PDG Bert Diamond for details. April 19-20: District G’s Convention in Madras. Download application from the MD 36 Website. April 26-28: Northwest Lions Leadership Institute, Kaiser, Oregon. Still have some Scholarships. May 3-4: 95th Multiple 36 State Convention at Seaside Convention Center. 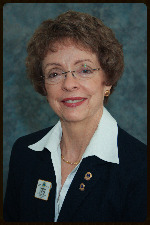 Convention Chair is PCC Lion Joyce Anderson. May 18: Last District O Cabinet meeting at the Oregon Guide Dogs. Remember to invite a new member this month. Be well my friends! Well, spring is just over the horizon and we are well into convention season. Our District O Convention was great, and I so enjoyed visiting with all who attended. It is encouraging to see our District O membership growing again. A big thank you to GMT Lulu Bowman and DGE Terry Bowman for their hard work in getting clubs recharged on the coast, especially getting the Tillamook Lions going again. Thanks to the many membership chairs and clubs for continuing to invite new members. To expand the amount of service to our communities, more members are going to be needed. As I am writing this report, I see that we are only 24 members shy of hitting the 1,000 mark. It would really be great to get our District O back up over a thousand members. The needs of our communities are what we are all about and I am so proud of all of you Lions, who are serving so well. Please be looking around your clubs for future leaders. One of our important Lions tenets is encouraging and developing new leaders. Keep encouraging younger members to participate in leadership courses so that they can be the leaders of the next generations of Lions. I would encourage all Lions clubs to get involved with local youth programs whether it be Leos, Scouts, or other youth programs in your community. A big thanks to GLT Sharon Rollins for all of her leadership in getting leaders trained in our District O and assisting new club leaders get on board with their new positions. We wish her well as our next Council Chair and I know she will do a great job. Remember to get 1 or 2 of your club members to the NW Lions Leadership Institute in April. Download the application from www.md36lionsclubs.org website. Kudos to GST Fae Lloyd as she has continued to encourage many service project ideas for our district, some of which were adopted by all of the Multiple District clubs. Although she had to step down from some of her leadership roles to continue her fight with cancer, she never gave up on looking for new service projects and encouraging clubs with service ideas. Save the Date: May 3-4, 2019, for our Multiple District Convention in Seaside. PCC Joyce Anderson and her committee have been working hard to make this convention the best ever. We will be having International Director Tom Gordon and his wife Lion Gillian as our guests for our annual Convention. My last Cabinet meeting will be at the Oregon Guide Dogs in Boring on May 18. Starting at 10 am and after a light lunch, we will be invited to attend the graduation ceremony, when the Guide Dogs are presented to their new owner. More to come. Now is the time for clubs to begin plans for this next year’s Peace Poster contest. Go to lionsclubs.org/Peace Poster to find out more. The 2019-2020 theme is Journey of Peace. You can also contact our District O Peace Poster Chair Bonnie Roeder for more information. I would like to extend my congratulations to our District O newly elected officers: DGE Terry Bowman, 1st VDG Sheri Young and 2nd VDG Doug Loose. I know they will do an excellent job this next Lion Year. I hope you all have had a great holiday season and are back to your club service projects and having fun serving your communities. I hope all of our clubs are actively collecting used purses, travel bags and shaving kits to be used as hygiene kits for homeless and those in shelters. In years past we have used hard shell eye glass cases and gallon zip lock bags, but we thought we would try using larger containers to enable us to put in feminine hygiene items and to cut down on the cost to each district and clubs. To create a little fun, we are asking each club to bring a purse decorated with the International President’s theme: Soaring Above the Horizon. Entries will compete for the best decorated purse reflecting the theme. Even if your club is not competing in the contest, bring purses to the convention. We will put them to good use. We are encouraging clubs to keep on collecting food for local food banks as hunger continues even after the holidays. Please report your efforts on MyLCI or My Lion websites. This helps us track our efforts for future planning and sharing with other clubs, districts and LCI. Thanks to all of the clubs that have stepped up their reporting of service activities and fundraisers, we really appreciate your efforts. The Multiple District Convention will be held May 3- 4 in Seaside and we will have more about that after the planning committee makes its final decisions. Lions Club Leaders, now's time to look into your membership and see who is aspiring to become a leader or hone their leadership skills. One of our major endeavors is to develop leaders in Lions and to help leaders grow and step into future leadership roles. The Northwest Lions Leadership Institute is a valuable resource to do just that. It will be held in Kaiser Oregon April 26-28. Check with your club leaders and see if you can sponsor one or two Lions from your club to attend this great opportunity. Applications are online at md36lionsclubs.org. Be well my friends and we will see you soon. Astoria Lions provided vision screening to 514 students and 17% were referred for follow-up. Canby Lions made donations to following local organizations: Canby Center $180, Gales Creek Camp $300, Camp Toloali $300, Oral Hull Foundation, Wayne Oliver Foundation, Canby Baseball $300, Guide Dogs for the Blind $300. Cloverdale Lions posted US flags along Main Street in Cloverdale, assisted Tillamook County Family Counseling in providing a public showing of a movie to promote suicide prevention, and later training at Kiawanda Community Center. Gresham Supper Lions filled 4 pallets with used eye glasses for the Oregon Lions Sight and Hearing Foundation. Gave Oregon Guide Dogs a donation for $1000, which will buy two custom-made harnesses for GDB dogs. King City Lions volunteer at Consignment Shop/Thrift Store to benefit children in the Beaverton/Hillsboro school district. Provide warm winter jackets & clothing. Lake Oswego Lions donate new toys to the Toys for Kids project for the holidays, and collect winter coats, gloves, scarves, socks, for children in need. Milwaukie & West Linn Lions hosted the 1st computer training sessions for any Lion interested in learning more about how to leverage the internet for club communications. Mt Hood Lions hosted Welches Primary classes to attend Reading is Fundamental event and gave 147 students a book of their own. Hollywood Lions help deliver critical eye tissue to the airport from our Lions Eye Bank and also from the Airport to the Eye Bank. Participated in Flags for 1st graders. Deliver Meals on Wheels weekly. Portland Lloyd Lions just sent $2500 to the Paradise Lions for assisting Fire Victims. Rockaway Lions Annual beach cleanup at Rockaway beaches. 150 volunteers walked the beaches collecting 500 lbs. of garbage. Continued providing backpacks filled with essential school supplies & personal items to local high school students. St Helens Lions performed 500 vision & hearing screenings. Help with local Meals on Wheels. Help students needing extra practice on counting, printing, and reading. Tualatin Lions Club sent $500 to LCIF for Disaster Relief for the "Camp Fire" in Northern California. Vernonia Lions sent $500 to LCI to help with the fires in California and gave the Vernonia Cares Food Bank $500. Nancy and I have had wonderful times meeting with you at club meetings and social events. We thank you all for your hospitality. During these visits we heard about the many activities, including fundraisers, that are happening and many more being planned throughout the district. Good Job Lions. Unfortunately, there are still many activities, service projects and fundraisers that are not being reported to MyLCI. We need to take credit when we do good things for our communities. In terms of our monthly emphasis: November saw clubs conduct Diabetes Awareness efforts. Some clubs will be conducting more efforts later in this Lion's Year. This will save lives and prevent blindness. During December and January, Lions will be concentrating on Food Collection to help serve communities worldwide. For those of you focusing on leadership: If you are taking leadership courses online via the Lions Learning Center, be sure to let GLT Lion Sharon Rollins know when you have completed a training session. For those of you who have completed online training, congratulations. Another option is training through the Northwest Lions Leadership Institute in April 2019. There are still some $100 Scholarships available. Please consider this. The application can be downloaded from the MD36 Website. Membership always seems to be going down this time of year, although we are up a little from last year. Please contact those behind in their dues one more time before they are dropped. GMT Lulu Bowman and 1st VDG Terry Bowman are working hard to start a new club in Tillamook this year. GST Lion Fae Lloyd has been working on a project, in which she is attempting to list all of the different social services in a given area to make a resource for homeless and those having great needs in their life. Our district service project continues, so please have your club collecting used purses, travel bags or shaving kits, to be used as feminine hygiene kits. Our Lion friends in Paradise, California, are in need of our assistance. Please contact PDG Lion Wes King for the most current details, as he is heading up the efforts to send supplies and/or money to them from our Multiple District. 1. Next Cabinet Meeting will be February 22, 1 PM, at the Embassy Suites in Hillsboro; District O Pre-Convention Dinner at the Embassy Suites at 6 PM. LCIF has launched another fundraising campaign named Campaign 100: LCIF Empowering Service. Contact PCC Lion Steve Thomson for more details. The goal is to be able to serve 200 million people a year. The need is there; the Lions are almost there; now we want to get the funding there. More members will allow us to serve more people in our communities. Do I Hear that mighty District O ROAR? Yes, I believe I do. Well it is sure nice to see the heavy smoke is gone and the rain is starting. I hope you’re all enjoying a little bit of our Indian Summer. October was a good month of vision service projects. I have been visiting clubs and enjoying meeting some great Lions. Thank you all who have so kindly welcomed Nancy and me to your club meetings. As I was speaking to the Vernonia Lions Club a few nights ago, I had the great pleasure of announcing their Lion of the Year, their own Club President, Allen Marshall, Great work Lion Allen. After addressing the Vernonia Lions, I had the pleasure of introducing Doug Thompson from the Oregon Lions Sight & Hearing Foundation, who awarded a Helen Keller award to Lion George Tice. Congratulations Lion George. George has been a Lion for 20 years and works tirelessly to help his Lions club fundraise in the community. George is a two-time President of the Vernonia Lions. Our service project for the February District O Convention will be collecting used purses and travel bags to be used for making women's hygiene kits. At Our Multiple Global Action Team Meeting, the Council of Governors decided to take this service project a little further and have a little competition between districts towards earning this next year’s Guiding Lamp Award. We will be selecting the best decorated purse filled with the appropriate items for a women's hygiene kit. The theme will be in keeping with our International Presidents theme “Looking over the Horizon”. This can be either a nautical or hot air balloon related. Each district will select a winner and the winners will be entered into a friendly competition at the Multiple District Convention in Seaside in May. The winner of that competition will win the Guiding Lamp Award. This should be a lot of fun and provide districts some resources for homeless women, shelters, etc. Start gathering those purses and travel bags in your clubs. In November, the MD 36 service calendar suggests conducting Diabetes Awareness Screenings. I am encouraging clubs to set up some tables in front of businesses, clinics or stores and pass out brochures about diabetes. Also it is suggested that we use the handy little survey that Fae Lloyd with the Global Service Team obtained from the Diabetes Association to hand out to folks, who can then take a short survey and see if they are a likely candidate for diabetes. They are then referred to their doctor for further testing. No blood draw or fasting is required. We don't need names, but it would be nice to keep track of the scores that indicate referral to a doctor just for our information. In December we will take on Hunger Relief, more on that next month. Our next Cabinet Meeting will be at the Embassy Suites in Hillsboro at the site of our District O Convention 1 PM to 4 PM. Save the Date: 2019 District O Convention February 23, 2019 with a No Host Dinner the evening before at the Embassy Suites. I am pleased to announce that we finally have a date for our spring Cabinet Meeting at the Oregon Guide Dog's Boring Campus, On May 18, 2019, so mark your calendars for that. I am very grateful to have been elected to be your District Governor this Lion Year. I so appreciate all of your support and encouragement. This past month of August I was done in by the smoke and fought off two bouts of bronchitis brought on by the smoke and allergies. The good news is I am getting better. I hope that most of you have remained healthy through this horrible fire season. That being said, I have started my club visits around the district and I am looking forward to coming to your clubs. Please check your calendars and let me know when would be a good time for my visitation to your club. District O clubs have been busy with fundraisers and service projects and I look forward to dropping by some of them in the near future. We are also exploring the possibility of getting the white cane service project going again. There have been several clubs that have expressed an interest in participating. At our first Cabinet meeting in Rockaway, we Honored Leo Isis Breazille as Leo of the Year for MD36. Not only is she the Leo of the Year in Oregon 2017-2018, but also she is one of 35 Leos receiving the award from LCI in the nation. This is quite an honor. She has been a 4-year member of the Neah-Kah-Nie Leos Club, holding several offices including being President during her senior year. Isis will be attending Western Oregon University in Monmouth. She has been a great asset to Lion Don Markle during her four years at school. We are very proud of her. I am encouraging Lions clubs to collect used purses and travel kits to be used later for hygiene kits for the needy. There have been some discussions among the Council of Governors about having a contest for the best decorated and or best filled purse in the district, which would then be entered into a fun competition at the Multiple District Convention in May at Seaside. At any rate, start looking around for some purses to collect for this project, as District O will have a collection barrel out at our District Convention in February. More on that later on. A lot when I attended and made lifelong friendships with many fellow Lions in attendance. October 2018 is Vision Awareness Month, so if your club is looking for a service project in October, maybe now would be a good time to do a vision screening or set up a table at your local vision center or pharmacy and collect used eye glasses during that week. Remember to have some OLSHF brochures and some membership applications available. Our next Cabinet meeting on November 3, 2018, will be held at the OLSHF's Auditorium at 10 AM. We had to make a last minute change of venue. Be well my friends and I hope to see you soon. This is my theme for the year, to get prepared to make new leaders in your clubs, Invite more members to join your clubs, and participate in new and old service projects. One of my goals for this year is to sign more women into our Lions clubs. Last year PDG Bert Diamond set a goal to have 35% women as Lions in District O, we passed that goal and ended up with just over 40%. So GMT Lulu Bowman and I have set 42% as our goal for this Lion’s Year. We are already at 40.25% this year, so we are heading in the right direction. Why do we seem to always be pushing for new membership? Because as we lose members who pass away, move away or no longer wish to serve, we must replace them with new members, so that we can continue to accomplish our mission to serve our communities. Remember every new Lion brings the capacity on average to affect 70 people with their service. When you start adding all of your club’s members into that formula, you will be helping many people in need of our services. Lions have always helped make new leaders, often people, who don’t see themselves as leaders, but end up making wonderful leaders. So be looking deeper into your membership and you will find potential leaders for our organization. GLT Sharon Rollins just had District Secretary Lion Carrie Bartley send out a list of training opportunities, so be looking at these, and maybe have your clubs send some Lions to participate in some training. Be sure to go to LCI’s Web site and look for online training courses for all leadership positions. In keeping with PDG Bert Diamond’s theme of Lions having fun, I have found a new game to bring to your clubs, when I come to visit. Standby for Fun! As I write my first monthly DG Column my mind is swimming with new ideas, new faces and new challenges. Nancy and I are packing and repacking for our journey to Las Vegas, which we will be heading out on in less than two weeks. By the time you read this we will have returned to Oregon and be busy visiting clubs and planning a great Lions Year. I have lived in Oregon since 1950, my family having moved here from Kansas City. Nancy was born and raised in Portland. We have 2 daughters and a son, and I have a daughter with 5 children. We are grandparents and I think the best thing to ever happen to me was becoming a Grandpa. Nancy and I celebrated our 50th Anniversary last August. I served 2 years active duty in the Navy as a "Weather Guesser" then served 30 years with the Oregon State Police, including 10 years in Pendleton and the remainder in the Government Camp and Welches areas. for 67 years. I'm a Life Member of the VFW Post 922 in Pendleton. My theme for this year is BE PREPARED For Leadership, Membership and Service. Lions Clubhouse. All Club Officers are invited and encourage to attend. In fact, I would encourage any and all Lions to attend to learn more about the workings of the District. encourage more women to become Lions and start some new Lions clubs and branch clubs. I want to continue to have fun doing service, being a “Can Do Lion”, and make every day “A Great Day to be a Lion”. Our District O Convention will be February 23, 2019, at the Embassy Suites in Hillsboro near NW 185th and Hwy 26. Please mark your calendars and make plans to come and enjoy fellowship with your fellow District 36 O Lions. Have a Great Summer. I look forward to seeing you soon. This is my last DG column. It’s been my pleasure and honor to serve you as your District Governor. Thanks so much to all those Lions who helped me along the way to be a better person and leader. And thank you to all the District Cabinet members and to each of YOU, the Lions club members. I would like to recognize some of the District O club’s activities. Way to go District O!! This information was taken from Zone Chair reports at our recent District Cabinet meeting. The GARIBALDI LIONS have five new Club members. ROCKAWAY LIONS are building up their Knight Lions Branch Club. BEAVERTON LIONS held a winter food drive at Walmart collecting 1,656 lbs. of food. CEDAR HILLS SUNSET LIONS recently collected 729 lbs. of food. KING CITY LIONS drive for Meals on Wheels and also Eye Couriers. They give flags for 1st graders and hold a monthly Red Cross blood drive. VERNONIA LIONS recently held their Spam and Eggs Breakfast. And they provide socks and underwear for students upon school counselor’s requests. MCMINNVILLE LIONS will hold their famous, annual Fly-In Drive-In Breakfast at the local airport. PORTLAND OAKS BOTTOM LIONS set up American flags in Sellwood on the federal holidays. PORTLAND COLUMBIA LIONS hold a Bingo event every Monday night and donate thousands of dollars to LCIF, the OLSHF and to local charities. PORTLAND HOLLYWOOD LIONS have been hosting a blood drive twice a year for the past 60 years. TUALATIN LIONS conduct many food drives over the year and give flags to 1st graders. LAKE OSWEGO LIONS provide food for the Metzger kids backpack program, collect thousands of eyeglasses, and participate in the annual National Alliance on Mental Illness events. BEAVERCREEK LIONS just held their annual auction, which was a huge success. CANBY LIONS screened 2,500 students at their local schools. OREGON CITY LIONS hosted in May their 21st Annual Teddy Bear Parade. MILWAUKIE LIONS help 61 students with their weekly Backpack Buddy Program. WEST LINN LIONS screened almost 2,500 students and have 2 of the 3 benches in place as part of their Lions Centennial Project. WEST LINN RIVERVIEW LIONS held their annual plant sale and will hold soon their annual English Tea. PORTLAND DOWNTOWN LIONS helped organize the annual Portland Area Lions Rose Festival Luncheon in May. ST. HELENS LIONS help hundreds of kids with their Friday backpack program and clean up the trails in a local park. AURORA FRENCH PRAIRIE LIONS BRANCH CLUB do school eye screenings, coordinate the Oregon Lions Earth Angels and the District’s Lions Quest programs. PORTLAND BENTHAM LIONS collected about 1,000 lbs. of food for their local food pantry. Last year was the 30th anniversary of the official admission of women into Lions Clubs. We can celebrate the work that women do in our clubs and for our community. The Portland Lloyd Lions Club worked hard in the 1980s to sue LCI to admit women into Lions Clubs. A big ROAR for the Lloyd Lions! Today, some clubs in District O have more women members than men including the West Linn Riverview Lions, Oaks Bottom Lions, the Gresham Supper Club, King City Club, Lake Oswego Lions, Milwaukie Lions and the Portland Legacy Club. And there are many clubs with over 25% women members. At the international level, our organization has about 23% women members and that number is increasing each year. • Letting go of being right and that the other person is wrong. • When in discussion, use "yes and" instead of "but I." • Focusing on serving and helping others. We held a fun and rewarding District Convention last February with about 160 Lions registering. I've visited almost all of the clubs in District O and included photos of the clubs and members in the articles in our State Lions magazine. And, leaders are working to strengthen some struggling clubs and start 1-2 new branch clubs. I encourage you to attend the Multiple District Convention on May 18-19 in Eugene at the Valley River Inn. There will be good presenters and breakout sessions and it's a great opportunity to connect with and learn from other Lions. Friday night at this MD Convention will be our District O awards dinner. You can expect some fun and music. The Lion Rockettes Choir will expand their performance from the February District Convention. Please dress in either your favorite western wear, sports clothing, or patriotic shirt and hat. Along with recognition awards, there'll be special prizes for best dressed outfits. I want to thank the Beaverton Lions Club for its work on the Peace Poster Contest. Their student artist this year, 8th grader Taylor Igarta, won the District then the Multiple District Contests and went on to be selected top 23 finalists in the world. Kudos to the Beaverton Lions Club that consistently has a poster entry every year. Kudos also to Lions Fae Lloyd, 2nd VDG Terry Bowman and Lulu Bowman. Along with many other District Lions, they have done a lot of volunteering. I personally recognized those three Lions at the District Convention with a 4th level Presidential Certificate of Appreciation. ROAR! "LET'S HAVE FUN DOING SERVICE... and at meetings and conventions." That's my theme for this Lion year. I hope you find ways to build more fun at your club meetings. I'm writing this column three weeks before the District O Convention and I'm guessing it provided a lot of opportunity for attendees to learn new things, meet other Lions from NW Oregon and have some fun too. If you want to make your meetings more enjoyable, here are some tips from 2nd VDG Terry Bowman and Lion Lulu Bowman's breakout session at the Convention. Standing together to do a song, roar, pledge or activity gives you identity as a club. Also, let your Tailtwister loose to do silly things like place a sign on every door to the meeting saying "Use other door." The Tailtwister can ask club members questions, some serious, some funny, some about trivia. Search online with key words, "Lion Tail Twisting ideas". Good tailtwisting needs to be prepared ahead of time, not only last minute. Most of all, make your meetings FUN! On a different topic, consider talking at your club meetings about Lions Clubs International's new framework called LCI FORWARD. This plan provides a structure to help us build and improve our clubs, gain more visibility in the community and enhance the impact of our clubs’ service. Please check this out on the LCI website. Just type "LCI Forward" in the search line. You can learn many ways to improve your club. And, while you’re on the LCI website, please scroll down on the main page and check out the new videos. Do you know about our International President Naresh Aggarwal's theme? It's We Serve. But another sub-theme is THE POWER OF WE. By this he means the power of action and the power of service. "Forty-five percent of the world lives in poverty," says IP Aggarwal. "As more of us come together, we can change this." 1. Recognize the Opportunity: Many situations can be "elevator-speech-time". Consider using either a 15-second opener, the one-minute spiel, and the two-minute soft sell. 2. Use the 15-Second Opener: A lot of situations allow an opener about your Lions club. For example, Miguel might tell a co-worker, "I volunteered last weekend to help the poor." Know the appropriateness, present a sentence or two, and give the other person time to think. 3. Offer the 1-Minute Spiel: Now that you have the other person listening, offer a power-packed message mixed with smiles and friendship. Provide some details, tell about the people in your club and even give an invitation to your club service project or meeting. 4. The Two-Minute Talk: Maybe your listener is really interested in your Lions club. Talk about why you're a Lion and why you joined your particular club. Be positive yet realistic. Explain the typical volunteer hours a month and the dues required. And, definitely leave a lasting impression that your Lions club is fun with good opportunities to network and socialize. Practice your elevator speech for the next time you need it. Entering the last half of this Lion year is a good time to reflect and take stock. Here's some of the accomplishments and future goals of your District leaders. • Most of our 8 Zone Chairs have made one or more visits to their clubs giving out awards and reporting about club projects and issues. • Two GAT meetings were held the last few months. What's GAT? It's new from Lions HQ in Chicago and it stands for the Global Action Team, which is basically your District or State leaders. We're working on a 3-year plan for District leadership, membership and service. And we're asking more Lions to step out of their clubs and be on a District committee. • I have visited about 30 clubs, given information folders to each, held a Minute-to-Win-It game (since October 1st), and also asked each person present to make a first aid kit for those in need. To date, we've made over 600 kits. • District leaders have met twice to plan your District Convention to be held on Saturday, February 24, 9am-4pm at the Portland Community College Rock Creek Campus Event Center. The doors open at 8 am. Expect great speakers, breakout sessions, a first aid kits service project, and fun games. • A new charter or branch Lions club is being formed within the Portland Nepalese community. It's called the Himalayan Lions Club and its Guiding Lions are Dane Parreira and Carrie Swesso Bartley. • I will continue featuring clubs in the Lions magazine. • District leaders will complete a working draft of a 3-year plan for the District. • Club members will make more first aid kits with DG visit. • District leaders will promote more service and membership within the district. Much appreciation and gratitude to all of the District leaders and cabinet members for their volunteer time and enthusiasm. With the spirit of giving that characterizes this time of year, I'd like to take the opportunity to ask this question. What would your community be like without your Lions Club? Think about the many ways your club has contributed to your community across the years. How about all the used eyeglasses and hearing aids gathered; the thousands of pounds of canned food collected; the people who have been helped with new, free eyeglasses and hearing aids; the hundreds of thousands of dollars raised and donated and the many other benefits our local Lions clubs have provided. This service is vital and immeasurable for our communities, but is it always recognized? I think we ought to shout out more about it to or local newspapers and TV stations. Take these examples of great service in District O. The St. Helens Lions Club installs 160 American flags on their downtown streets on Federal holidays. The West Linn Lions collected, bought and donated to the homeless almost 3,000 sleeping bags over the last 9 years. How can we express our gratitude to Joe Westin, Helen Honse and other members of the Portland Lloyd Lions Club when in the 1980s they pressured LCI via their lawsuit to admit women into our clubs. How indispensable was that! The benefits to the community also include fundraising. Kudos to the many clubs like the Lions in King City, Beavercreek, Lake Oswego, West Linn, Gresham and other towns that donate thousands of dollars each year to LCIF, to the OLSHF, to fund high school scholarships, and to other noteworthy charities. I ask again, "What would your community be like without your Lions clubs?" Thank you for your individual volunteering and thank you to your Lions club for what it does. During this holiday season, please take time to show appreciation to your fellow Lions for their service and recognize the pillars in your club, those members who have kept your club going over the decades. Meet your District O Zone Chairs! For this month’s column, I thought it important to introduce and also give credit to the eight Zone Chairs in our District. They are doing a very good job making our District more well connected. Please tell them your appreciation next time you see them. Regional Zone Chair, Ray Herrington: After being Zone Chair for a number of years, Ray is now the “cheer leader” for all 8 of our Zone Chairs. He’ll encourage them to visit their clubs and turn reports in on time. Zone 1 Chair, Lulu Bowman (Rockaway): Lulu not only visits clubs on the coast regularly, she is a Foundation Trustee and a Guiding Lion for the new Rockaway Knight Lions Branch Club. Zone 2 Chair, Terry Bowman (Rockaway): As 2nd Vice District Governor and Zone Chair, Terry is a busy Lion. He is also the coordinator of the District’s Sight and Hearing Task Force. Zone 3 Chair, Dan Wolf (Mt. Hood): Dan is 1st Vice District Governor and helping as Zone Chair. At the Forum, Dan was the Strides Walk Chair and chef with his wife, Nancy, for the VIPs morning meals. Zone 4 Chair, Dane Parreira (Lake Oswego): By visiting many clubs in the District, Dane gets to share his giant compassionate heart and fun sense of humor. He is also on the District Membership Committee. Zone 5 Chair, Ron Pompel (Gresham Supper): Ron served as Zone Chair a few years ago and is familiar with his clubs. We appreciate Ron’s help with his five clubs. Zone 6 Chair, Bill Stout (Hollywood): A long-time Lion, Bill is an example of someone who stays involved. He is dedicated to help his clubs be stronger in membership and community service. 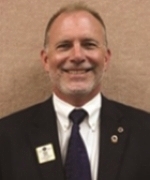 Zone 7 Chair, Derek Sandell (Tualatin): Derek continues to help the District as Zone Chair for his four clubs that include Lake Grove, Lake Oswego, Tualatin and Wilsonville Lions Clubs. Zone 8 Chair, Carrie Swesso Bartley (Milwaukie): Not only is Carrie a very active Zone Chair, she’s also District Cabinet Secretary and the Secretary of the Oregon Lions Sight and Hearing Foundation. Much appreciation to our Zone Chairs! It's a joy and honor to serve as your District Governor. I am continually inspired by the community service projects I see and hear about when visiting clubs. These activities include the Centennial Legacy project between the Rockaway and Garibaldi Lions Clubs, the U.S. Coast Guard and the Port of Garibaldi in Tillamook Bay. On a patch of acquired land, they plan to restore a U.S. Coast Guard surf and rescue boat which will be a Lost at Sea Memorial. Another District Legacy project was conducted by the Mt. Hood Lions Club. Members planted about two-dozen trees with the help of local Cub and Boy Scouts. - Read the District's PR manual. - Contact newspaper, radio and TV stations. - Be aware meeting/event times may conflict with getting media coverage. - Use food events to promote Lions. Also at the Cabinet meeting, Lion PCC Joyce Anderson received a standing ovation for all the hours that she donated as the local committee chair of the USA/Canada Forum. Thank you again, Lion Joyce, for your dedication and service. Thanks also to the hundreds of other Oregon Lions who volunteered at the Forum. What an amazing opportunity to learn about Lionism and to learn from people from across the globe about the larger picture of our organization. Check out my article in this magazine called, "The Wonderful Service of District O." You'll see photos and projects by the clubs I've visited lately. You are invited to attend the next District Cabinet meeting on November 4, from 10am-1pm at the Mt. Hood Lions clubhouse in Welches. Club officers are invited too. Expect some discussion and some fun. We'll also have time to talk and plan within District committees. Please bring a frozen turkey or canned foods for the Mt. Hood Club's Thanksgiving community feast that serves over 300 people, many in need. SAVE THE DATE! February 24, 2018, is our District Convention at PCC Rock Creek Campus' Event Center. "Let's Have Fun Doing Service." That's my theme for this Lion year. I’m bringing some fun and service along on each of my club visits including supplies so everyone at the meetings can make a first aid kit for the needy. We’ll make 1,000 kits over the whole Lion year. I’ll also take photos at my club visits so check out the articles called, THE WONDERFUL SERVICE OF DISTRICT "O" LIONS. Here’s some of the service activities that I heard about during my club visits. - Beaverton Lions Club held a Theater/Dinner fundraiser to help the Beaverton Civic Theater. - Portland Bentham Club donated to maintain and help stock the fishing pond at the Oral Hull Camp. - Portland Downtown made 40 crates for the homeless of blankets, clothing, and first aid items. - Gresham Breakfast Club collected over 5,000 used eyeglasses last year and helped over 140 clients with free eyeglasses and hearing aids. - Mt. Hood Club worked with other local groups to feed over 300 people on Thanksgiving. BIG THANKS to Dan Wolf (1st VDG), Terry Bowman (2nd VDG), Sharon Rollins (GLT), and Garry Charbonneau (GMT) for their leadership. ☆ USA/Canada Forum, Sept. 21-23 at the Oregon Convention Center, Portland. You can still register. It'll have great leadership classes and fantastic keynote speakers. ☆ District 36-O Convention, Feb. 24, 2018, PCC Rock Creek Campus. I'm writing this column in early June and eagerly looking forward to the 100th Anniversary International Convention in Chicago. Welcome to the new Lion year! Congrats to the new club officers and new District O Cabinet members. Big thanks to Past District Governor Garry Charbonneau for his time and effort last Lion year. I look forward to a fun and exciting 12 months. There’s a lot of people who need our help and we Lions continue to do what we're known for: helping others in the community. Whether it's collecting eyeglasses or canned food or raising money for good reasons and causes, Lions are there. ▪ I grew up in Philadelphia. ▪ I have lived in Oregon over 40 years. ▪ I'm married with 2 grown kids and 2 grandkids. ▪ My hobbies are power-walking, music and drawing. ▪ I've been a Lion for about 8 years. · First District Cabinet meeting on Saturday, August 26, 10am-1pm at the Rockaway Lions clubhouse. Club officers are invited. · USA/Canada Forum on Sept 21-23 at the Oregon Convention Center in Portland. Register today! · District O Convention on Saturday, Feb 24, 2018, 8am-4:30 at Portland Community College - Rock Creek Campus. 1. Make Safety/Hygiene Kits for the needy at each of my club visits; 1,000 total kits over the year. 2. Encourage more club members to read the State Lion magazine by putting more clubs’ photos and projects into monthly articles. 3. Start some new branch clubs and help struggling Lions clubs. 4. Have a service project at the four District Cabinet meetings. 5. Summarize quarterly Zone Chair reports in an article in the State Lion magazine. 6. Develop a 3-year plan for membership and leadership. HAVE A GREAT SUMMER! Thank you all for your "Lion heart" and your time volunteering in your club, district and community. Last month I discussed the importance of a club keeping active with community projects and fundraising projects. In clubs that have medium to large membership, half or more of the members would rather be doing the activities than attending a meeting. It’s important for the clubs to keep those members who don’t attend meetings regularly, informed of the club’s activities so that they don’t feel left out. Those that do attend the meetings regularly want the meeting to be entertaining and informative. Club business should be done at the board meetings, unless it requires the attention of the full membership. Club membership should be an ongoing endeavor regardless of the size of the club. I keep hearing that the younger generation is not interested, that they have more concern about their needs than the need of others. That may be true to a certain extent. Think back to when you were that young, were you of the same opinion at that age? A lot of us were just starting to think about raising a family and learning what our limits were. I know I waited a year and a half before I decided to see what Lions was all about. Then if you have a family, you and your spouse have to make a decision that would affect the lifestyle of your family. It’s not easy. New members are out there. We just can’t give up looking for them. It’s not impossible for a struggling club to revive it self. Take the Estacada Lions Club, for example. They were down to three members four to five years ago, with one member ready to throw in the charter. The other two members decided that they wanted to save the Club and asked for help. They got that help from their Zone Chair and some Guiding Lions from nearby clubs. In December, 2016, they celebrated their 50th anniversary and have a membership of 17. It is possible to save a club, it just take some work. Just think CAN DO. Whether it’s a community project or fundraiser, both are club activities that are essential to the success of all clubs. When a club has lots of activities, the club most likely will have more happy members. Members of a Lions club join their club so they can serve their community and some join to improve their leadership skills not just to socialize or attend boring meetings. The stronger clubs have both lots of activities and meetings that entertain and hold the interest of their members. What are some of the activities that clubs do to keep their membership active? Two clubs that come to mind have a set place to hold bingo regularly and it is a big fundraising event for both of them. One of these clubs has a large membership while the other is just hanging on. The larger club has activities that are ongoing all year because they have more Lions allowing them to do more activities. The smaller club brings in a lot of funds but they lack the membership to do very many activities in their community. What is the reason for such difference? Age of the members does play a big part, but the larger club has older members also. Do demographics have anything on the make-up of the two clubs? One thing we know that helps keep a larger membership is retaining and bringing in new members before your membership gets too low. Retain members that pay their dues and try to find out why a member is leaving. Reports show that members are being dropped for not attending club meetings. If members have paid their dues and they don’t attend club meetings, DON’T DROP THEM. List them AT LARGE and keep them informed of community work projects. Lions want to work; they get more satisfaction when actively working then sitting at a meeting. Remember, RETAIN & RECRUIT. There’s interesting information from Lions International that is just coming out. We are not just the world’s largest service association. The United Nation has confirmed that we are the World’s largest Humanitarian Service Association. As Lions we knew that some time ago, knowing that we have over 1.4 million Lions in over 46,000 Lions Clubs in 210 Countries and Geographical locations around the world. Our Lions Club International Foundation (LCIF) is often the first to respond to emergency disasters wherever Lions are in the world. You ever wonder how it is that Lions over the entire world can accomplish so much in a peaceful manner. Could it be that the Lions of the World have hearts and minds that desire to see that all are treated as we would like to be treated, that the golden rule applies to all, no matter your race or beliefs? Our LCIF started in 1968 and has now surpassed the billion-dollar mark in disaster and humanitarian relief. Oregon Lions Sight & Hearing Foundation was founded before LCIF in 1959 and all Oregon Lions can be proud of this fact. Every International Director that visits our Multiple District is blown away with what the Oregon Lions have achieved through the work of the Oregon Lions Sight & Hearing Foundation. We might not have spent a billion dollars but our Foundation is tops in many ways. We are tops in the number of kids we vision screen in a year and the goal we have set to screen every child in the State by year 2020. No other Multiple District comes close to our vision screening of kids or the KEXs eyeglasses for kids. The Lions of Oregon have embraced the knowledge that good vision is important to the success of our kids in school. Your Foundation has the only Optical Finishing Lab In the world of Lions Club International that provides high quality frames and lenses at a much more affordable price, that allows our Lions Clubs to help more people in need. Great job Lions of Oregon. You continue to amaze me with all of the work that you do to help your communities by serving the hungry and clothing the needy. You provide screening of eyes, hearing, diabetes and blood pressure. You also do your part in protecting our environment by planting of new trees and collecting and recycling newspapers, aluminum cans and plastic bottles. You show the willingness to care for the youth in your communities by providing vision screening, flags for first graders, Lions Quest, scholarships for high school graduates and starting Leo clubs. All that I have listed above fulfill the requirement for LCI’s Centennial Service Challenge (CSC). Of all the Lions clubs in this District only 22 clubs are receiving an LCI Centennial Service Award for the year 2015-2016. Three clubs received a CSC Level 1 award, four clubs a CSC Level 2 award, six clubs a CSC Level 3 award and nine clubs a CSC Level 4 award. I’m sure that a lot more clubs could have received these awards if their reports for club activities would have been filed under the Centennial Service Reports. Also most of the clubs that I have visited have mentioned that they have done activities that cover all four levels of the CSC. You still have time to meet all of the requirements for the Centennial Service Challenge. You might even be able to go back and update some past reports. If you are having trouble finding the proper site to report your CSC activities, contact Past District Governor Sharon Rollins. She would be glad to help anyone who is having trouble finding the CSC site. Think what it would mean if every club in the District received a CSC award for the year 2016-2017. I’m sure your next District Governor would be a very happy Governor who would love the idea of handing every club in the District a Centennial Service Challenge Award. Yours in Lions Can Do. It’s January 2017 and by the time you read this it will already be February. How the time has flown. February marks the beginning of the District Conventions and I strongly urge all Lions to try to attend their District Conventions. You will learn so much more about what Lions can and are doing and you’ll find that other clubs can or have had the same problems as your own club. Conventions are a way that we Lions pass on information and solutions to solving problems of membership and fundraising, as well as ideas for new projects. Conventions are a meeting of ideas and what’s happening in your District. It’s a time of seeing old friends and making new ones and a time for a little work and a time for a little fun. This year the District 36-O Convention is February 18th in McMinnville OR, at the McMinnville Community Center, located at 600 NE Evans St. Time of registration and assembly starts at 8 AM and the Convention itself starts at 9 AM. Bring your Baskets for the raffle and the theme this year is Celebrate 100 years of Lions. Fellow Lions, come with a Lions Heart of Joy and Happiness, be prepared to celebrate Lions Clubs International Centennial Year. The Multiple District 36 Convention is May 19th – 20th in Pendleton, OR. You can expect a very big Lions Centennial Celebration, with a parade that is not too long, about ½ mile and flat. Lion members, who are planning to attend, bring your club banner to carry in the parade and then your club banner will also be displayed around the main assembly hall with all the other club banners. This is the time to really show our Lions spirit. The city of Pendleton is excited to be the host city for this big event. Come and join in the fun. It’ll be January when you read this column and the holidays in the past. Let me take this time to say that I hope your Christmas was merry and that you have the happiest of New Years. The holidays are a time for us to give thanks and praise, to pass our love on to the ones we hold dear in our hearts and to share the warmth of friendship with our fellow human beings. As Lions you all worked hard to provide the needs for those not so fortunate, with food for the hungry, clothes for the needy as well as eyeglasses and hearing aids. There are so many things that all of you do in helping your communities to be a better place to live. Fellow Lions, you have proven time after time why we have grown into the world largest community service organization. Lions Clubs International has a vision and that vision is: To be the global leader in community and humanitarian service. You are part of that vision in providing humanitarian service to your communities. You are the leaders in your communities for providing that humanitarian service. I know that you will continue to give what you can in helping your communities to be a better place to live. Lions Clubs International has a mission statement: To empower volunteers to serve their communities, meet humanitarian needs, encourage peace and promote international understanding through Lions Clubs. Empowering volunteers is to invite others to help volunteer in your community projects. I’m hearing clubs say that they don’t have the person power for this or that. We need to be open to the idea of working with others and just maybe you will get some new members. Continue to Climb New Mountains and looking into that land of beyond. The need is always going to be there and that’s when you will step up and say Lions Can Do. Have you ever thought about what it takes to be a leader? Could I be one who can get the job done? The answer is you’re never know unless you try and to be a leader you have to be willing to say I can do this. There is lots of literature available that describes and explains what you need to be a leader. Most people think that leaders are born but that’s not true. Most leaders are made. Even those who are born into the position, still have to learn what it takes to be a leader. Below is from the website, Top 10 Leadership Skills of Great Leaders. Leaders have to be TRUSTWORTHY; trustworthy leaders create leaders that are better than they are. A leader can become more self-aware, be adaptable, believe in others, and communicate clearly. Leaders should IGNITE PASSION to others through their love of life, doing new things, taking risks, being motivated, and having a sense of urgency. Passionate people are optimistic, have a great story, involve people, and have a simple recharge strategy. Leaders should MOTIVATE PEOPLE; great leaders believe people determine success or failure. What propels and sustains a successful organization is its diversity of talented and motivated people. They also need to understand the value of motivational rewards. Leaders have to have ETHICS; an ethical leader is one that considers positive and negative views, the rights of others involved, ensures decisions are made in an ethical manner, and members are held accountable. The ethical actions of a leader enhance his or hers credibility and integrity which causes followers to trust. Assign/appoint club members to head or co-chair a committee. Encourage and provide scholarships to attend leadership forums. Provide a Lions club handbook. Delegate club and District responsibilities so more people can be involved. Educate new members right away about the club, District, committees and leadership roles. Fellow Lions, three months have quickly gone by and I’m learning things everyday about Lions Clubs International and about the Lions clubs in our District. I have visited 1/3 of the clubs in the District, some small, some big and some in between. We have clubs that are struggling to get by, some others that are doing very well and then there are those that, in my opinion, are just floating by and are not looking for that Land of Beyond, that New Mountain to Climb. Fellow Lions we must continue looking toward what Melvin Jones called that Land of Beyond and that International President Bob Corlew says are New Mountains to Climb. The future of Lions resides in building our foundation stronger by bring in more members and starting new clubs. Today’s volunteers are more interested in what organizations can accomplish and less concerned with titles and protocol. The volunteers of today are focused on the service that the club will provide and the personal satisfaction and enjoyment attained through the service experience. We must focus our efforts on the concerns and passion of the membership, to seek and provide new services for our communities. The clubs that are just floating need to be injected with renewed passion and purpose to seek a new mountain to climb so that they too can attain that personal satisfaction and enjoyment through the service they provided. The clubs struggling need new members and a renewed reconnection with their communities. Lions are one big family and when a family member gets ill we should provide help and support for that family member. Let’s reach out and try to help our family members who are struggling. Start by visiting those struggling clubs, let them know that they are not alone. For the August District O Cabinet meeting, 1st VDG Bert Diamond and I added something different. We had a breakout session where people split into small groups and discussed what clubs can do to retain their membership. We then asked each group to present some of their ideas. Everyone liked having the discussion as part of the meeting, and the meeting still ended 20 minutes early. By having the breakout session I believe everyone present is involved and doesn’t feel left out. 1. Find a job for new members right away so that they begin to feel some ownership in the club and activities. 2. Find what their passion is and then try to channel them in that direction. 3. Use a buddy-system to mentor them, educate them, and keep them involved. 4. Listen to their ideas and be willing to try to do it their way; there is more than one way to do just about everything. 5. Try to help them feel they have value and that they are needed. 6. Do not micro-manage. We learn more from our mistakes than from our successes. 7. Keep in touch with all members and stay tuned in to what is happening with each member both in Lions and in their personal lives. 8. Share important/appropriate family and business information with all members. 9. Greet all members equally and always use good manners. It’s important to remember that everyone wants to feel that they have done their share for the club and its activities, no matter how young or old they may be. Fellow Lions, the first month of the Lion year is over and it went fast. I’m scheduled to visit 7 clubs, attend a Council of Governor’s meeting, play in 2 Lions golf tournaments, lead a cabinet meeting and do a couple of other unofficial visits. There is plenty of time left to contact me and find out what dates are still available to visit your club. I want to stress the positive aspect of being a Lion. At my Toastmaster’s meeting, I was reminded that we humans have a tendency to seek what is wrong, not what is right. There is a saying, “seek and you will find”. If you seek what is wrong you are going to find it. It’s easy for people to find fault with almost everything that happens in their life. I like to believe that we as Lions are seeking what is right, what is good. We as Lions should always be seeking the positive aspect of our daily life. The Lions Can Do Spirit. One of my Can Do Goals for the year is to give the USA/Canada Lions Forum Lions Club Handbook to every club in the District. Who has the most important position as a Lion in the District? It’s not me, your District Governor. Yes, I might be called the big cheese, but I’m not the most important person in the District. The most important person in the District is you, the Lions of clubs that make up the District. Our Lions clubs are the base, the foundation of the District. You, the individual Lions of the clubs, are the life blood of the District. Without the clubs, the District will tumble down. Without you Lions, the life blood of the District, the District will die. Fellow Lions: You are the most important part of the District. My fellow Lions of District 36-O, last year Governor Hank’s motto was “It’s a Great Day to Be a Lion” and I believe that every day is a great day to be a Lion. For most of you who don’t know me I’m a Vietnam veteran and I served with the U.S. Navy Mobile Construction Battalion also known as the Seabees. The Seabees motto is “Can Do” and I have always embraced that “Can Do” spirit. Since joining Lions in 1981, I have seen what it is that Lions can do. Lions have that same can do spirit and so my motto for the coming year is “Lions Can Do”. Chancellor Robert Corlew, LCI President, has as his motto this coming year: “New Mountains to Climb”. What this means is that we can look back on the past 99 years as a great legacy that has brought us Lions to what we are today: the largest service organization in the world, with over 1.4 million Lions serving in 210 countries and geographical locations. But we cannot stop there; we have to continue to build on that legacy to climb that next “New Mountain” before us, to create our own new legacies, to make our communities a better place to live and the world a more peaceful place to live. Lions: we must continue to climb new mountains. We cannot afford to say that we have reached the summit and that there are no more mountains to climb. There will always be other mountains to climb and new summits to reach. That is our new legacy and it must be carried on. What I have been saying just reminded me of a song that came out in the late 1960s. The song is “To Dream the Impossible Dream.” The world is in need of us. We must dream the impossible. We must climb that new mountain. We must not stop. We must not give up. We must keep trying. It has been an honor and privilege to serve as your District Governor this past year. I had the privilege to watch as Lions lived the dream that Melvin Jones had one hundred year ago. We are making our communities better places to live through service. This year I got to witness and experience Lions keeping the promise made to Helen Keller in the summer of 1925 to be the “Knights to the blind in a crusade against darkness“. We, the Lions, are working to keep this promise here in Oregon and around the world. Thank you Lions of District 36-O and Lions in our Multiple District for showing me how to be more effective in serving both my fellow Lions and my community. As we move forward for the next one hundred years of service, three things remain important for Lions. 1. Service and support for both community and fellow Lions. 2. Leadership so we, as Lions, are more effective at working together and finding ways to change lives for the better. 3. Membership because new and young members are the lifeblood of our organization. Without new and younger people, we will die out in a generation. The good news is that the youth and young adults today desire a way to serve others when their efforts make a significant difference in the lives of others. Before they will want to join us in our quest to serve others, we must first believe in ourselves. It is a great day to be a Lion! Each day that we can find a way to serve someone is a good day. It is through serving others that one finds the value of life. Again, thank you for letting me experience this desire to serve with all of you. When like-minded people work together, we are able to do more. This year’s theme, “Dignity, Humanity and Harmony” must continue to guide us as we serve others. Recently I received a letter from a Lions Club in our District suggesting that District 36-O spend more energy helping newly chartered and struggling Lions clubs rather than putting so much energy in chartering new clubs. I am thrilled that members of Lions Clubs are taking time to think about membership. Their suggestion is eagerly accepted, because a healthy Lions District needs to help existing clubs with retention of its valued members and at the same time help clubs in knowing how to increase membership with new members of all ages. The truth is, if District 36-O had only 20% members that were dropped because of non-attendance/non-payment of dues, District 36-O would have a significant growth curve. The reality is that District 36-O has been working on helping newly chartered Lions clubs, and struggling Lions clubs. A new Lions club is assigned two trained guiding Lions to help the new club know how to be effective in serving it’s community. Our District also has a number of Lions that have been trained to help struggling clubs with membership, make club meetings become more meaningful and find relevant club projects that serve their community. My challenge to all Lions clubs in District 36-O is to take advantage of the opportunities that are available. Take advantage of officer training that will be offered this spring and summer for new officers and officers that would like to be more effective at serving their community. Take advantage of help in getting new members into your existing Lions club by setting membership goals and asking the District for support to reach your goals. Please understand that each club must want and be willing to ask for help. I, as District Governor, do not feel it is my place to send a fellow Lion to your club and tell you what you need to do to be a better club when the club feels that it is a great club the way it is. The reality is that there are many communities in our District that do not have a service club to help people with vision needs. All of the large cities in our District are under-represented by Lions clubs. Lions need to work on all aspects of membership simultaneously. We must have each club make a commitment and plan to appreciate each member and find service projects that make the members feel satisfied. We need each club, new or well-established, to strengthen its club with new members and new service projects that support its community. Each club needs to look for and suggest areas that need a Lions club to support that area or community. All Lions need to stand ready to help their fellow Lions in their club, Zone, or neighboring community. It is a great day to be a LION. This year the Lions of District 36-O can be proud of what we have done. We have been recognized by Lions Club International because of our increase in membership in many clubs, the chartering of a new Lions club, and the commitment Lions have for our communities through increased and quality service. We have had a great Convention this year with 150 Lions attending. We had twenty, first-time Lions at our Convention this year. ID Robert Littlefield and his wife Kathy were very inspiring. We also had a quality session on leadership and a special program featuring sixteen parrots. We learned about the rescuing of exotic birds and how they can be great companions for veterans. This is the time to start thinking about leadership. We often think that only the officers are the leaders of each club. As important as the officers are to keep things running smoothly, each member of a Lions club needs to think about how he/she can be a leader in some way with the club. Leadership involves knowing and caring about the needs of the community and each member of the Lions club. I have known several Lions clubs that did very well at taking care of the needs of the community, but took its members for granted. Those clubs are no longer with us and the needs of the community regarding sight and hearing are no longer being met. Good Lions leaders check in on members when they are not present at meetings or projects. Good leaders make sure everyone who works on a project feels appreciated and that the time spent in serving others was worthwhile. When Lions become as good at taking care of the members of their club, as they are at the needs of the community, our District will not have over one hundred drops with most of them due to nonattendance and not paying dues. I am very proud that more than half of the clubs in our District this year have not dropped a member due to nonattendance and non dues paying. If you are interested in learning how to make your club meetings more fun, get new members, value the members you already have, please make plans to attend the MD36 Lions Convention in May or make plans now to attend the USA/Canada Forum this September in Omaha. One can also make plans to attend District officer-training sessions even if you are not an officer. Much of the training at all levels helps us to understand how to work with and appreciate the abilities others have. Spring is here and it is time to look for opportunities to serve those in need. Spring is a time for growth in nature, but we should remember it is also a great time for growth in both service and membership. All members of a Lions club should believe it is their responsibility to think of new ways to serve. Clubs must not stagnate in regard to the way they serve, but continue to be open to new ideas. If members in your club are having a hard time coming up with new ideas, please attend a District Convention, Zone meeting, or check on the Lions Clubs International web sight to get help. If your club is having a hard time getting new members, let others help. Our Global Membership Team Coordinator, PCC David Rich, has put together a user-friendly way to increase membership. Your Zone and District stand ready to help, but the club must ask for the help first. Next, each member of the club needs to encourage new members and new ideas. Lions are about building and maintaining relationships with other like-minded people while finding ways to serve those in need. We as Lions need to treat all people with dignity, while working in harmony with others. Together we can change the life of others. Finally, it is time to start thinking about new Lions officers. Each club should be having elections in the spring. New members and officers will be able to be a positive part of a Lions club if they receive proper training and support. Lions International and District Lions stand ready to support all new members and officers. Again we are here to support Lions clubs, not to tell them what they must do. Please take advantage of the opportunities that are available to clubs. It is a Great Day to be a LION! This is a great time as we start a new year. We are over halfway through this Lions year and it is time to take measure of where each club is in regard to serving our communities and membership growth. I am both thrilled and excited with the number and variety of service projects that Lions in our District are providing for their communities. We received an emergency disaster grant for the clubs to use on our northern coast in response to the flooding in December. This is very exciting. The clubs in District O support Lions Clubs International Foundation which stands ready to support our local clubs when disaster strikes. The Oregon Lions Sight and Hearing Foundation reports that Lions in Oregon are screening a new record number of students with the highest quality vision screening available anywhere in the world. Both Lions Club International Foundation and the Oregon Sight and Hearing Foundation deserve financial support each year from each Lions club. In District 36-O both of these Foundations stand ready to support our community when there is a need. I hope that each club in our District makes an effort to send a representative to our District 36-O Convention in Gresham on February 20. This is a great place to meet Lions from around our District and renew friendships for those who have come before. I want to make a point of welcoming new members to Lionism and First Timers to our Convention. If you have never attended a Convention, please come and find out some of the leadership opportunities that Lions can provide. Watch as the OLSHF raises thousands of dollars in the Parade of Checks and have a lot of fun. The price is right, only $25, and lunch is included. Everyone keep up the great job of serving your communities and having fun while getting that service accomplished. Look for new possibilities each day! Another holiday season has passed accompanied with a winter flood in our area. I have witnessed the saying “ Where there is a need, there is a Lion.” Where there was need for a Christmas tree, Lions were there to fill the need. Where there was hunger, Lions provided Christmas dinner for families. Where there was need for toys, socks, coats and/or shoes, Lions were there to help. During this Christmas and Hanukah season, Lions of District 36-O were there to help and serve in so many ways. At this busy time of the year, a big storm came through the Portland area and created many problems from the coast to Mt. Hood. We as Lions are there to serve our community and, to that end, Lions International makes funds available to each community in our Lions District if we need it. This is an example of how money sent to LCIF is used to serve the people in our community. The money Lions give to both the Oregon Lions Sight and Hearing Foundation and the Lions International Foundation can and will come back, when needed, to make the lives of the people in our community better in a significant way. As we start this New Year 2016: 1) Let us as Lions continue to get out in our community and make ourselves aware of the needs; 2) Let us look for people who would like to serve others and offer them the opportunity to become a Lion; 3) Let us find communities that need a Lions club and sponsor a new club so more communities can be served; 4) Let us work together in Harmony as we treat all of Humanity with Dignity; 5) Let us continue to support the two Foundations that help us make a significant difference in our community. This year it is important that each Lions club in District 36-O is represented at our Convention in Gresham on February 20. This is a time to celebrate our successes and learn new skills for the future. It is my hope that we have a record number of new and first time Lions at our Convention. We will have a parade of checks for the Oregon Lions Sight and Hearing Foundation, and a chance to meet International Director Robert Littlefield. The price is $25 including lunch. My year as District Governor is almost half over and I have had the opportunity to visit many of the Lion clubs in District 36-O. It was my pleasure to meet Lions who are excited about serving people who need help in their community. Lions know that what is important in life is not what one can take from life, but what one can give. I continue to meet people who are making a significant difference in the lives of others. In Oregon are Lions providing the quality sight screening to so many children in schools. Not only are students screened, but thanks to our partnership with the “KEX Kids Fund”, there is a way to help get glasses for students that have no way to get them. It is a GREAT day to be an Oregon LION! Other great service projects that Lion clubs are involved in include getting shoes, socks and coats for kids. There is nothing like taking school-aged children out to buy their first pair of new shoes or a warm coat when it is cold outside. Providing transportation to someone who is having eye surgery allows Lions to be a part of a life-changing event most people would not get to experience. As we get into the holiday time of year, many Lion clubs are involved in distributing food baskets and/or toys for the season. These gifts can make a lasting impact on entire families at the time and for years to come. This past year a young man I met was very excited when he saw my Lions pin, because the Lions were the ones who gave him presents when he was a child. This was a gift that kept on giving. Thanks to Lions who have been collecting glasses all year. A handful of Lions will have a chance to go to Mexico and Peru on a mission to provide the gift of sight with glasses that would otherwise be thrown away. Lions need to work in “Harmony” with one another as we treat “Humanity” with “Dignity”. Together we can make a significant change in the lives of people who need help. It is great to be a Lion. We care. It is great to be a Lion. We give. It is great to be a Lion. We make a difference in the lives of others. It is great to be a Lion because when we give, we get so much more in return. I want to take this opportunity to thank each and every Lion member in District 36-O for being a Lion. We, as Lions, are able to accomplish so much because, first, each of us decides to donate our time, talents, and energy to help others. As an individual, one can only accomplish what is possible in one’s lifetime. When we as Lions work together and share that opportunity of service with others, much more can be accomplished. Last year and so far this year, District 36-O is having growth for the first time in many years. Last year we were asked to “Ask One” and, because many Lions did, we grew in numbers. This year we need to “Ask One More”. Growth occurs when Lions clubs make members of the club feel as if they are valued and the whole club makes it a priority to invite new friends, family, and neighbors to join them in serving their community. If your meetings are less than exciting, have the prospective member help with a service project. I have sponsored over twenty members to be Lions and have found that I have to ask five people, or the same person five times, before I find someone who is willing to check out Lions. Don’t give up on someone who has a helping heart. It will be worth the extra effort. Now we are celebrating Lions International Centennial year of service and Lions are the largest service organization in the world with over 1.4 million members in 210 countries around the world. While each club has a focus on serving its community, when we consider the amount of service that is happening around the world, Lions become a stabilizing force for peace. Each Lion should be ready to say, “I am proud to be a Lion” and “It is a great day to be a Lion”! This is a great time to be a Lion! As I visit the clubs in District O, I am getting excited about the enthusiasm and pride that I find in the Lions Clubs. From the International theme this year (Dignity, Harmony and Humanity) to the wonderful service projects that we are doing in our community, the Lions excitement and enthusiasm is wonderful. Many clubs are ready to try to use new ways to communicate and get younger members through web pages and Facebook. This is the way young people today communicate and younger people are the future of Lions. By involving young members we can continue serving for the next 100 years. My theme is: It Is A Great Day To Be A Lion! I feel and believe this with all of my heart. We are the world’s largest service organization with more than 1.4 million members in 210 countries around the world. Every minute of everyday a Lion is serving someone. Many times it is in a significant life-changing way. It is a great day to be a Lion. Whenever there is a disaster somewhere in the world, Lions are there ready to help with volunteers and money. It is a great day to be a Lion. In third world countries river blindness has been eradicated and measles vaccines have been made available to those in need. It is a great day to be a Lion. Here in Oregon, it is a great day to be a Lion because we have the Oregon Lions Sight and Hearing Foundation and Lions VisionGift. Because of the Sight and Hearing Foundation, Lions around the state can offer multiple screenings for a number of health problems with the MSU truck and trailer. We are also able to provide close to 150,000 quality vision screenings to school children and provide quality glasses at a reasonable price to Lions Clubs around our state. Through the Lions VisionGift, Lions are helping the cutting edge of cornea research and distribution around the world. It is, indeed, a great day to be a Lion! While we are currently celebrating one hundred years of service to those in need, it is time to think of the future. We will only celebrate the next one hundred years of service if Lions today offer the opportunity of service to the young. I know that membership growth is not easy, but we must find a way to invite young families, students and adults to join us as we serve in our community. It is my privilege to visit the forty-three Lions clubs in District 36-O this year. So far I have had the pleasure of visiting eight clubs. Each club is special and has strengths and weaknesses. The important thing to remember is that we are Lions working together to serve those in our communities that need help. By working together with our many skills and abilities, we are able to help many people with services that make a significant difference in their lives. We can give someone back their sight with glasses or surgery on their eyes. Lions do quality eye screenings for over 130,000 students in our communities this past year. This Lions Year, District O is starting the year off with three fewer clubs than we had last year. For me, every time a Lions club turns in its charter it like a death. Each Lions club has a life of its own that fills an important function for the community. Unlike people who get older each year and some of us start to lose the energy and stamina we once had, a Lions club does not have to get old and die. It is, however, important to know that inviting younger members is the key to keeping a Lions club serving a community in the future. Each club needs a diversity of young and older members. Men, women and families all help make a healthy club that will last for another hundred years. Last year, Lions were to “Ask One.” This year we need to “Ask One More.” Membership is not the job of a single person; it is the job of every member of the club. The Lions motto is “We Serve”. Lions other job is to build and maintain relationships. If we as Lions thank and recognize the time and effort our fellow Lions give in service, many of the members will stop going out the back door. Many clubs are starting to have a get-well card or we missed you card at each meeting so that when a Lion is sick or has missed several meetings, they will know that they are being thought of and missed. This action is easy to do and very effective. As I visit your club I will be bringing origami cranes. Cranes are a sign of peace and good health. The crane, as a bird, also has to work as a team to do its long migration each year. The three words that go with the theme are Dignity, Harmony, and Humanity. All are words that go well as we serve those around us. Last year District Governor Brad King led District 36-O to the first growth as a District in years. This was accomplished by continuing the process of working as a team. This year I have been blessed with a great Cabinet that is dedicated to work very hard to support all of our clubs in District 36-O. Our goal is to strengthen the existing clubs with quality service projects and ways to gain new members. We are also looking for areas that are ready for a new Lions Club. We also need to support our “District 36-O Taskforce”, so we can better keep up with the need for eyeglasses around our District. New and better ways to fund our task force must be found. There is a great need in the areas without Lions clubs and very little money. All of this can be accomplished, but not by one person. We as Lions have great power when we work, and think together. My challenge to every Lion is to help think of how we can be the solution to the many obstacles we will face this year and work together. Each individual is important when serving others and can change a life in a significant way. But when we work together, we can move mountains! We can make significant changes in the lives of thousands, not just a few. Experiencing the International Convention helped me to gain an understanding of how big Lions International is. Lions are now represented in 210 countries around the world. We have Lion members from many different religions, and political viewpoints. The thing that all Lions agree on is “We Serve!” In Hawaii, over 35,000 Lions, representing their geographical area, serving their community and making them a better place to live, gathered together. With our 46,000 clubs, and over 1.4 million members, Lions have become the greatest force for peace in the world. My challenge to Lions of District 36-O is to continue to serve your community “more, and better” and at the same time extend your vision to service to your fellow Lions and neighbors. This will require Lions to actively search for new meaningful service projects and prospective young members who would like to serve others. Remember you are not in this alone. All of the District Cabinet including the District Officers stand ready to help in anyway we can. The key is the local club must ask for help. The District is not in a position to tell individual clubs what they must do. We will support each club so it can better serve its club members and the community they are serving. Great Lion Times Are Coming! Greetings all Mighty Lions! Great Lion times are coming! Amazing Lion times are coming! But … we cannot sit back and let it happen. We are the Lions that will make it happen. And, we’ll make it do more better! As you may or may not know, these columns are written about a month in advance, which is why we’ll discuss things that happened in February and that will happen just days after you read this in April. They’re important! On February 21st, we enjoyed our Mid-Year Conference at the Sunset Presbyterian Church in Beaverton. It was a “Lions-centric” day! We were joined by International Director Lion Don Shove and his wife, Lion Sunny, from northern Washington. ID Don even found two old friends from his youth in the Spokane valley! We learned about the extraordinary things going on at Lions VisionGift and then heard from the wonderful Lions who work at and support all the camps that we all support. ID Don spoke to us about the importance of how we support one another. We all enjoyed retired Chief Tim Birr and his presentation on Public and Media Relations for Lions. We also enjoyed the presentation by our Oregon Lions Sight and Hearing Foundation and you gave generously at the Parade of Checks. We enjoyed Canine Companions for Independence then honored some truly special Lions and one undeserving DG with some recognition. It’s a day I will remember for a long time and it should prime us all for more service in the coming months! If you’ve been thinking about attending the NW Lions Leadership Institute in Salem on April 10th, 11th and 12th, contact Global Leadership Team Chair Lion Diana Richardson right now! Our Multiple District Convention is quickly approaching! It is May 22-23 in Seaside and it promises to be a special sparky time! Great speakers, great forums and great fellowship! For new members, this is a great opportunity to meet and learn! You great 36-O Lions will have your “Media and Membership Shoot Out”! Let’s Work Together to Do More Better! Mighty Lions of District 36-O! Your efforts to relieve hunger have been magnificent! As of this writing, I’m aware of a number of food drives and food distribution projects all over the District and beyond that are helping people in need. Just what we do best “WE SERVE”! Now, with spring around the corner, your District Governor Leadership Team has another challenge for you in the service area which is the foundation of Lionism. Now is the time to partner in a service project. Reach out to the neighboring clubs in your Zone, to other service organizations in your community, to your municipalities and counties and engage them in a service project to do more better in your community. Be the leaders of this project and the relationship it builds and, as the last part of the challenge, use your media skills and get articles published in local and regional newspapers; get on the air on TV and/or radio and let people know the good you and your partners are doing! Strengthen the Pride and Show your Pride! This is also a great time to build your club’s membership to help sustain the amazing service you all provide. Remember to “Ask One” and to keep asking. It’s a special privilege to be invited to join a Lions Club and to be able to do more in your communities to make people’s lives better. Consider all the good we do from Mt. Hood to the Coast and from the Columbia to the Mid-Valley. We must sustain that great good and we can only do that if we gain Lions Club members to help us do the work in the future. Demonstrate the leadership we are famous for and spread the joy of being a Lion! Speaking of Leadership opportunities … have you registered for the Northwest Lions Leadership Institute slated for April 10-12, 205 in Salem? This is exceptional Leadership training for Lions at every level: Club Members and Officers, Zone Leaders and potential District and Multiple District Leaders. Register today! Also, our Multiple District Convention in Seaside is coming up May 21-23, 2015. Get you registration form today at www.md36lionsclubs.org. Enjoy the fellowship at both of these events and in everything you do as a Lion! See you there! Now isn’t the time to relax! Mighty Lions of District 36-O! You do so much to make people’s lives better! Can we ask more? Of course we can. We’re all Lions and we know what the answer is: “”WE SERVE”. These past months have been exciting and rewarding for all of us good 36-O Lions! We continue to “Do More Better” in the service arena of being a Lion. Last month I gave numbers; this month I’m just going to say that you have helped so many throughout the District, Multiple District and the world and have never asked for a second of recognition. That’s what it means to be a Lion! But now, it’s the doldrums of winter and the shelves of our regional food pantries are getting bare. Let’s all do what we can to “Relieve the Hunger” during this difficult time of year. Partner with other clubs in your Zone; partner with your Boy Scouts; partner with your local grocers and bring success to this most meaningful endeavor! These past months have seen us lose a number of good Lions through their deaths. I guess I didn’t fully realize the meaning of what I said when earlier I said death was the only way we should lose Lions. I didn’t think about the feelings of loss and grief for their friends and families, their club members and also for their leaders. Let’s remember these good Lions, honor them with our work and sustain their memory by recruiting new good Lions (who will never truly take their place)! The upcoming months have a wealth of leadership opportunities available! If you haven’t registered for the District 36-O Mid-Winter Conference yet, it’s not too late! Saturday, Feb. 21st will be a Lion-Centric day! Come learn about the camps we support, the activities at your Lions VisionGift and Oregon Lions Sight and Hearing Foundation, a meaningful message from International Director Don Shove and information on great service dogs! Last, but never least, an amazing chance for more better Lions Fellowship! As always, I am proud to serve you. I am truly honored by your trust and humbled to be counted among you. So Much To Do More Better in 2015! Greetings Mighty Lions of District 36-O! You are completely amazing! 2015 dawns bright for us! A new year is ahead full of promise and opportunity for us to serve and to do more in our communities to make people’s lives better! The end of 2014 gave us such good news that we should feel energized and ready to take on the new year. Here’s a quick run-down on what great things you accomplished near the end of 2014: 1) The new Portland Legacy Lions Club finally joined our happy family! On November 19th, 2014, Lions from all over 36-O joined together to welcome these 27 new Lions and to challenge them to do more better! It was a thoroughly inspiring evening! 2) 100,000. That’s a pretty big number! That’s how many students all over Multiple District 36-O you have helped via vision and hearing screenings with your Oregon Lions Sight and Hearing Foundation since school started in September. WOW! You’ll hear and read more about this from your OLSHF! 3) Our membership numbers are increasing! We have a 2.95% net growth in District 36-O so far this Lions year! That equals 32 Lions. Remember to “Ask 1” and keep asking. Also, the most important people to recruit to your Lions Club are the members who are already there. Retention is as important as new members. 4) 14. That’s how many WWII Veterans the Lions of District 36-O are sending to Washington DC with Honor Flight through our “Cans For A Cause” because you all collected cans and bottles to the tune of $7,144.14! Lions, please remember the up-coming Worldwide Week of Service Jan. 10-16, 2015! Please plan something special and work with a neighboring club if you can and record it on the LCI website! Also, sign up for the District 36-O Mid-Winter Conference on February 21st, 2015! It’ll be Lions-centric! Let’s continue to “Strengthen the Pride” through our efforts to relieve hunger this winter. Work with your local food banks, scout troops and social service agencies to provide what people desperately need. Keep doing more better because we’re Lions!!! I am so proud to serve you and honored to be counted among you! Take Time During Your Holidays To Do More Better! Sharing the Vision and Relieving the Hunger! Mighty Lions of District 36-O! I learn more about my job and the honor of serving you as your District Governor every day! My autumn has been filled with visits to the amazing Lions Clubs of District 36-O and to those clubs’ service projects and fundraisers. I am more impressed with the dedication and commitment of you special Lions every day. During this late autumn and into the winter, we can continue to hammer away at International President Joe’s “Centennial Challenge” of “Sharing the Vision” by collecting used glasses, providing exams and glasses for those people in our communities in need and working with your neighboring Lions Clubs to do the same in their communities. We can also chip away at those 100 million acts of service by helping to “Relieve the Hunger”. I have personally been involved in helping to feed people in need and transition and it is one of the most rewarding things we can do as Lions and for those on the margins of our society. Club Secretaries, remember to count and record these acts of service on the LCI website. Lions of 36-O, we’re up 3.22% in Membership! That’s great news but we can always do more better. As Intl. President Joe says, “Ask 1”, but don’t just ask once! Our second District Cabinet meeting of the year took place on November 8th and it was very successful. I had the opportunity to announce our Multiple District “Story Board” challenge there. Take photos of your service and fundraiser. Keep copies of your articles and letters and tell the story of your Lions Club. You’ll hear more as we approach our 36-O Mid-Winter Conference on Feb. 21st, 2015. Enjoy the coming holiday and keep doing more better service, membership, leadership and fellowship! Mighty Lions of District 36-O! My time with you gets better at every turn! My visits have continued and I am more impressed with the service, leadership and continuing commitment to sustaining membership of which that I get to be a part! This fall we are engaged in International President Joe’s Centennial Challenge to “Share the Vision”. This challenge, a part of the 100 million acts of service that President Joe has challenged us to do, lies at the heart of who we are as Lions and what we do as Lions, following our promise to Helen Keller to be “Knights of the Blind”. Let’s take this challenge to heart this fall and on into the winter, spring and summer. We can collect used eye glasses all year. You can transport eye tissue to your Oregon Lions VisionGift all year long. You can help your Oregon Lions Sight and Hearing Foundation conduct vision screenings in schools and communities. You can use your precious fundraising dollars to provide exams and glasses to people in need in your own communities all year long and help people where there aren’t Lions Clubs by supporting your Lions Eyeglass Task Force. Wow! When you put it down on paper, there’s a tremendous amount that Lions do to “Share the Vision”. And the good news is that soon, we can make those precious fundraising dollars stretch farther with the eyeglass finishing lab that’s coming to your Oregon Lions Sight and Hearing Foundation! When we help people improve or regain their vision, it goes to the very core of what Lions do and are. Let’s recommit to our promise to Helen Keller and continue to accept the challenge to “Share the Vision”. Keep doing more better service, membership, leadership and fellowship! Oh Mighty Lions of District 36-O! What great Lions you are! Through my visits to your clubs, I realize this more and more every day. I see consistent and growing service to individuals and communities. I see membership as a priority and it is growing. I witness leadership at every turn and I am impressed. I get to enjoy FELLOWSHIP every day! Service is always the first segment of our foundation as Lions as we get to say every time we mention our motto: “We Serve”. Let’s remember to focus on International President Joe’s “Centennial Challenge” to commit 100 million acts of service by International Convention in 2017. Every pair of glasses you and you club collects can be an act of service. Every student you and your club help with a vision screening can be an act of service. Remember to see your Oregon Lions Sight and Hearing Foundation’s website: www.olshf.org and see when there will be a school screening in your community. Speaking of membership, things are looking great in 36-O. We will charter the Portland Legacy Lions in October and your Global Membership Team is working hard and will have a campus club at University of Portland (possibly by the time you read this). Remember, in your own club, no matter how big or small … “Ask 1”. Ask a friend, a neighbor, a business associate and grow your club! We enjoyed our first Cabinet meeting at the Rockaway Lions on Saturday, August 23rd and it was successful. We welcomed Lion guests from Peru and accomplished a great deal. We can now sustainably support our District-wide Eyeglasses Task Force! Now that’s leadership focused on service! As for Fellowship, look for 36-O Club events on our website, www.lionsoforegon.net and enjoy! Dog walks, dinners, car shows and more! Mighty Lions of District 36-O, above you’ll find our theme for this Lions year. Bad English though it may be, it’s a contraction from a speech made a long time ago by another Lion, Melvin Jones. He started Lions Club by challenging his peers to do MORE for their communities and to make people’s lives BETTER. Well, you’re the Lions of 36-O and you do that MORE BETTER all the time! Let’s celebrate that by continuing to do more, better! Since we have returned from Toronto, I’ve hit the ground running having made several club visits. As always, I am impressed with the passion and dedication of the Lions I serve and hope I can be worthy of that. The projects and fundraisers are great and the fellowship that is shared at those events is a rare treasure. Lion President Joe’s Centennial Challenge continues. As you read this, October is fast approaching and that month’s challenge is “Sharing the Vision”. This is the perfect time for you and your club members to help at school vision screenings with your Oregon Lions Sight and Hearing Foundation. Contact your Foundation and find out when you can help at a school near you! Let’s continue to “Strengthen the Pride” by building on the four foundations we have as Lions: Service, Membership, Leadership and Fellowship! To entice some competition towards these ends, remember to take part in our District-wide target contest. As an old competitive shooter I’ll get you a target for each new member your club inducts and two for each article that appears about your club’s service activity in this magazine. “Keep membership in your sights” and “Service is our target”. The more targets you collect and the better the shooter you have at MD Convention in May, the better the chance to win a homemade lasagna dinner! Take pride in your Pride! Greetings Mighty Lions of District 36-O! This comes to you as I am packing in preparation to come home from the outrageously successful 97th Annual Convention of our International Association of Lions Clubs here in beautiful Toronto, Canada. I have diligently worked with the District Governors-Elect from all over MD 36: DGEs Darrell from R, Gail from E and Gerald from G. We have learned so much and experienced a great deal. We’ve had the opportunity to work and bond with District Governors from all over the globe! I have also had the great opportunity to meet and talk with our new International President, Lion Joe Preston from Arizona. Lion President Joe’s International theme for the year is “Strengthen the Pride” and his priorities match the priorities of the Mighty Lions of 36-O and all Lions in MD 36. Lion Joe asked us to “Strengthen the Pride” through Service, Membership, Leadership and always through Fellowship. Lion Joe’s particular focus for membership is a program called “Ask 1”. What could be simpler? As I prepare to return to the Lions I admire the most, I sincerely look forward to the visits I will make to your clubs. If possible, I’d like to induct any new members you have. I also want to hear from you about how you think your District is doing and what we can be doing to improve service to your communities. Let me know about new project ideas so I can share them with other amazing Lions! As I asked at our Multiple District Convention in May, please tell your communities about the great things your club does and the great Lions who are its members. We cannot survive if we continue to see ourselves as the “best kept secret in town”. Take pride in your “Pride”! We’re Lions! Let’s do more, better! It’s amazing, isn’t it, how rapidly the Lions year moves? As I write this last article of my District Governor year, our District and MD Conventions are about to take place, with awards given to Lions and clubs who’ve done wonderful things this year for their communities. officers have been elected, and incoming DG Brad King and his Cabinet are gearing up for the next Lions year of service. Our incoming Global Membership Team and Global Leadership Team will continue with the new club development begun this year and will offer excellent training for club and District leaders-to-be. Summer camp season will begin very soon, with Gales Creek Camp, Camp Taloali and Oral Hull finishing preparations for their summer programs. All three camps are always grateful for any time that Lions can give in helping carry out the summer activities. Please consider giving a few hours of your time to one or all of the camps. Enjoy the pancake breakfasts, pirate festivals, fish fries and the many community festivals coming soon. Remember to publicize your club’s activities in every way possible. Let your communities know all about Lions and our service! Remember, we are Loving Individuals Offering Needed Service! I am so pleased to have been your District Governor this year. I want to thank all of my Cabinet members and each and every one of the District 36-O Lions for your dedicated service to your communities. Before you die, give – and give again and again. Spring is here – and as I write this, the sun is bright and our garden is growing and flowering beautifully. Speaking of growth: The month of May continues our Lions focus on Family and Friends. It’s time to bring friends with you to a service project to learn about community, serve others and celebrate new friendships. In this past month, community projects have blossomed. The St. Helens Food Back Program for school kids has grown with the help of a major donor. Rockaway hosted the semi-annual Beach Clean-up and fed the participants a great lunch. Portland Downtown hosted a Lions Worldwide Lunch Relay event. Canby and King City held pancake breakfasts to support their projects. Lake Oswego held the first burger barbecue of many to come as the active season begins. Many other clubs are devoting time and energy in their communities – please let me know what is happening in District 36-O. Our District convention is coming on May 16th, in Salem at the Red Lion Hotel. Friday late afternoon and evening will be very busy with credentials for voting, nominating speeches, a delicious banquet, election of officers and many awards to clubs and individual Lions for their contributions this Lions year. If you haven’t already registered, please do so today! Take care of things close to home first. Straighten up your room before you save the world. Our local food banks were well served during January, February and March as District 36-O clubs generously donated multiple pounds of non-perishable items and the always much needed rolls of toilet paper (keep that donation going, please!). Thank you to every club who held its own drive and to the Lions who gathered at the February 22nd Cabinet meeting and brought supplies. Our Foundation continues to increase the number of school students who are benefitting from the sight and hearing screening kits and the Lions (and community volunteers) who are staffing the screening events. Several more school districts have been added to the calendar of screenings for the fall of 2014; every Lion who would enjoy a day or days meeting many small smiling faces are welcome to volunteer. Take it from me: It’s a wonderful way to spend 5 or 6 hours! Several clubs have scheduled community health fairs in the next two months; kudos to those Lions taking health screenings out to folks. Hank Calhoun, our tireless GMT leader, continues to work with his team on starting two new clubs. The University of Portland Campus Club is now a real possibility, and the Portland Legacy Club is very close to the magic number for chartering. Good work, Hank and GMT team! The upcoming Cabinet meeting on April 12th will be held at the Oral Hull Foundation in Sandy. All Lions are invited to come, participate in the meeting, enjoy a delicious lunch and then provide services to help ready the camp for summer campers. Please RSVP to the coming announcement. Our District Club Award Night is coming on May 16th, at the banquet in Salem. Many clubs have earned several awards from the Awards Booklet. Please be SURE to have the award forms to me no later than April 25th to allow me time for preparation. Call me, please, with any questions. Do anything in your power to make it possible. As Lions, we were made to give light to others – to put our lives to work, to use patience in difficult and trying situations and let our personal power shine. How often do we brighten the lives of others with special acts of kindness? How often to we look for opportunities to touch lives? As Lions, we don’t have to be perfect, rich, highly educated or even in perfect health to make a difference in someone else’s life. And – when we help others, we help ourselves to grow! Our District faces challenges as our numbers shrink – but there is help available to each club! Several of our District Lions attended a workshop on the Club Excellence Process (CEP) on January 18th, and are ready to help any club that asks for new ideas and ways to reach out into the community. The CEP is designed to help a club get to know itself better, both from individual Lion contributions and from the interests and needs of the club’s community. It’s an engaging and enjoyable way to learn new methods to grow your club through service. Please add this topic to your next club agenda, and then give our District GLT Al Scott a call to arrange a visit from a CEP facilitator to get the process started. You’ll be amazed at what can be done to add energy to your club! April is Family and Friends month and it’s coming very soon. Start the month of celebration by joining the Lions World Lunch Relay on Friday, April 4th. IP Barry Palmer has put this idea together to connect our local communities with Lions around the world. Clubs will gather first at noon in New Zealand and then the lunches move across time zones around the globe. It’s very simple: Plan a club special lunch at noon on April 4th and invite family members and friends to join in the fun. Offer a short, interest-catching program and plan a project in the community where anyone can lend a hand, no matter the age or ability, and get that project accomplished during April. One club has already planned their lunch. Let’s have many more fun events planned and please share your plans with me. Register your club plan for family and fun on the LCI website; enter Lions World Lunch Relay in the search box. Enjoy the new green of spring’s growth as we serve and have a great time together! We will open the book. Its pages are blank. We are going to put words on them ourselves. The book is called Opportunity. The new year of planting and growing the Lions Garden of Service together has begun! Our Mid-Year Conference was a great experience; attendees enjoyed hearing about new topics and ideas for personal and club growth. Our District Governor Team is working together on a new club at the University of Portland and one at Legacy Good Samaritan/OLSHF. I'm looking forward to continuing to work with many District 36-0 clubs on service projects and community activities; please call or e-mail me with your club opportunities for taking our mission of service out into our communities. District 36-0 Cabinet Meeting OLSHF/Wistar Morris Conference Room Service Project: Food Bank Support Program: Disaster Preparedness For Lions. All Lions Invited! BBQ Lunch Bring a Guest! District 36-O began the 2013-2014 Lions year with an immediate growth in membership, unfortunately offset by a number of dropped members. Our October number, fittingly to celebrate Lions International’s Month of Membership, has again been positive – and several new members were inducted in November! Our fall membership contest winner of the apple pie ala mode party for the largest net percentage growth from July 1st through October 31st is: The Forest Grove Lions Club! Congratulations to these Lions. Remember that the final date for the annual membership growth contest is April 25. I want to send out a huge THANK YOU to the clubs and individuals who contributed funds to the purchase and donation of harnesses to Guide Dogs for the Blind. At the Cabinet meeting on November 9th on the Guide Dogs campus, 6 harnesses were presented, enough for an entire graduating class. In addition, a record number of Lions attended the Cabinet meeting and the afternoon graduation. I wish all of our Lions and their families in the District a very happy holiday season! Your success and happiness lie in you. I have found a great way to keep happy, following Helen Keller’s direction: Work with hundreds of school children as we screen for vision and hearing! These weeks of seeing smiling faces as we Lions and parent volunteers are busy with the Spot Photo Screener machines, portable audiometers and Random Dot E tiles have been a highlight of my fall. If your local school district or the district in the next town over has contracted with OLSHF for providing this invaluable screening, please volunteer and be a part of the fun! Kansas in the early fall is quite beautiful (well, if you try to forget the tornado warning). I was privileged to be a part of the USA/Canada Forum recently held in Overland Park. We 12 Lions from MD 36, plus two friends/spouses, enjoyed excellent seminars and motivational speakers. Seven of the Lions and two DGs from other states joined me in my “Why Lions Are Leaving Their Clubs” seminar – ask Lions Joyce, Brad, Diana, Mary Lee, Steve or moderator David to tell you about the “Greentree Lions Club” dysfunctional meeting! The 36-O Zone Chairs have held their first meetings or are busy with the planning for upcoming meetings. Lion Hank Calhoun, who is wearing 3 Lions position hats this year (GMT Chair, 2nd VDG, and Zone 3 Chair), held a salmon BBQ on his deck with the wonderful river view. Lion Sheri Young, Zone 4, held a wine and cheese tasting at the King City Town Hall. Lions Diana Richardson, Zone 9, and Mary Hankins, Zone 8, held their meeting at the Village Inn. Lion Dan Wolf held the Zone 5 meeting with a pizza dinner. Lion Ray Herrington, our coast Zone 1 chair, held the Zone meeting at the Rockaway Clubhouse. More Zone meetings are to come. Watch for notice of yours and be sure to join the gathered Lions. Please do plan to attend the November 9th Cabinet meeting at Guide Dogs for the Blind in Boring; RSVP is necessary to me or to David Rich. Enjoy the Thanksgiving holiday with your families and friends! Do more than belong: participate. Do more than dream: work. Fall is here with the beautiful colors appearing and Lions projects happening District-wide. My club visitations have shown just how busy our clubs are in their communities! From cooking and selling hot dogs and caramel corn to filling school backpacks, from providing shoes and socks to helping neighbors with their home needs, Lions are growing the District 36-O garden of service! Two sessions of Leadership 101, at the Coast and in the Valley, provided training to 50-plus Club Officers and active members. Our Zone Chairs and District Governor Leadership Team members are available for training at the club level; just ask, and new ideas will be coming your way. October is our MD 36 Eyeglass Collection Campaign month. Clubs can record the number of eyeglasses collected for recycling through the Oregon Lions Sight and Hearing Foundation and post that number to the Campaign; more information will follow. Schools are ready and eager for Lion volunteers to join in the Reading Action Program through SMART or other school-established programs. Lions International has placed a strong emphasis on helping our children to be competent readers as early as possible. Please consider joining a program to read to a child. To those Lions already working in this literacy project, a big thank you! The November Cabinet meeting will be held at the Guide Dogs for the Blind campus in Boring on November 9th, from 9 am – noon. RSVP to DG Sharon to establish the seating and numbers of lunches needed. Canine Services Chair Kelly Hobson is encouraging all clubs to make a contribution toward the purchase of harnesses for the pairs of clients and guide dogs (see article following). And remember: The homemade apple pie and ice cream party for the club with the highest percentage net gain in membership from July 1st through October 31st! Will it be YOUR club who wins this challenge? “Go into the world and do well. Our Lions year of service and fellowship is getting up to speed, as some clubs return from summer quiet time and others continue at full speed. Visits to the Rockaway and Astoria Clubs (my first as of this writing) and hearing of the services provided to those communities by their Lions made me so happy to be a Lion in District O! Two of the Master Gardener Awards for service have been awarded, and I look forward to many more presentations! At the LCI International Convention in Hamburg, Germany, International President Barry Palmer asked that each person attending make a pledge to bring one new person in Lions this year and, by doing so, grow our organization to provide even more needed service. The Lions International activity theme for October is Membership. Would each of you be willing to take IP Palmer’s idea and grow your Club? The club with the largest percentage of net new members from July 1st, 2013 through October 31st, 2013 will be awarded with an apple pie and ice cream party courtesy of the Rollins Farm apple trees. I’m looking forward to presenting this award! Our Leadership 101 will be held on September 14th, offering training for all club positions. Clubs can take advantage of this opportunity to bring officers (President, Secretary, Treasurer, Membership and all interested Lions) up to date and be ready to Grow Together Through Service in 2013-2014! Save the date of January 11th, 2014 for the District Conference, a full day of interest forums and fun; details to follow. Our District goals this year include providing service to even more members of our communities by growing our clubs with new members, refreshing the already planted club gardens of service with new ideas and exciting activity, planting new clubs in previously untilled areas, and getting together as a District for fun and fellowship. As DG, I’ll visit the clubs to hear about the service projects planned and completed, and I’ll present the Master Gardener Award to a club member who has spent time cultivating the garden and harvested a successful project(s). A special prize will come from my garden and kitchen to the club with the highest percentage of new members at the end of October, membership drive month. Clubs will have the chance to compete with each other in a membership challenge with an award at the District 36-O convention (to be held on Friday, May 16 at the MD 36 convention). Let’s get our collective hands muddy and enjoy growing in service as Lions!